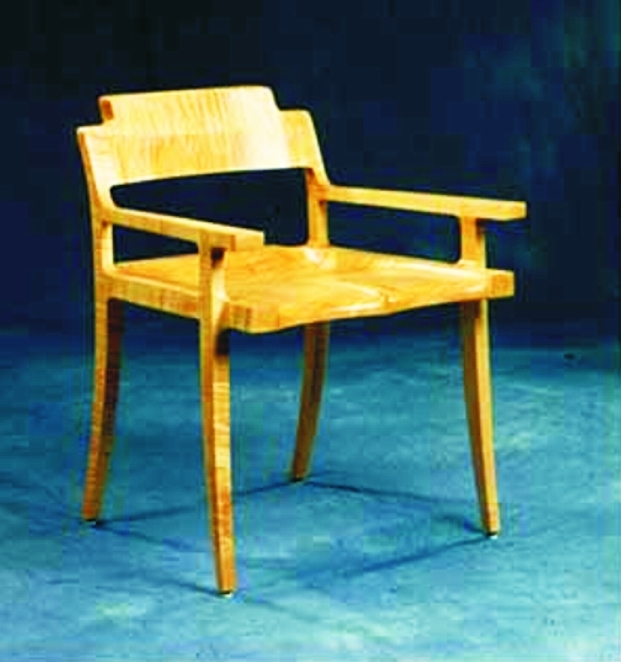 During week long, hands-on classes, renowned furniture maker Michael A. Doerre demonstrates the building techniques he uses to make his original design, the Number One Chair. He teaches students a system of construction and leg seat joinery based on the use of a table saw, band saw, router and simple hand tools. Each student starts with a set of wooden blocks, prepared by Michael, that are assembled with WEST SYSTEM® epoxy. After this five day class, students leave with their chair, and a knowledge of the design elements necessary for creating their own chairs-seat to back relationship, comfort, selection of appropriate woods and grain considerations. Classes are held at the Doerr Woodworking Studio in Sturgeon Bay, Wisconsin. The week-long course is limited to one or two student participants, and is available by appointment. To learn more, visit www.MichaelDoerr.com. This entry was posted in Arts & Crafts and tagged 22, chair, Epoxyworks #22, Michael Doerr, Winter 2004 on December 11, 2014 by ewadmin.